Eventually, every roofing system reaches a point where repairs are no longer possible or cost-efficient. When that happens, it's time to consider a re-roofing project. 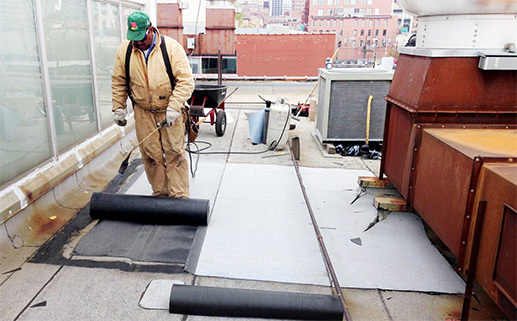 For over 25 years, we have specialized in commercial and industrial re-roofing applications and have been trusted by thousands of Chicagoland businesses for their re-roofing projects. Roofing Solutions LLC has a dedicated roof repair division to help with all of your roof service needs. From ultra-quick response to roof leak emergencies, mid to long term repair recommendations to extend the life of the roof, or assistance with rooftop equipment alterations, additions, and repairs, we've seen and done it all. 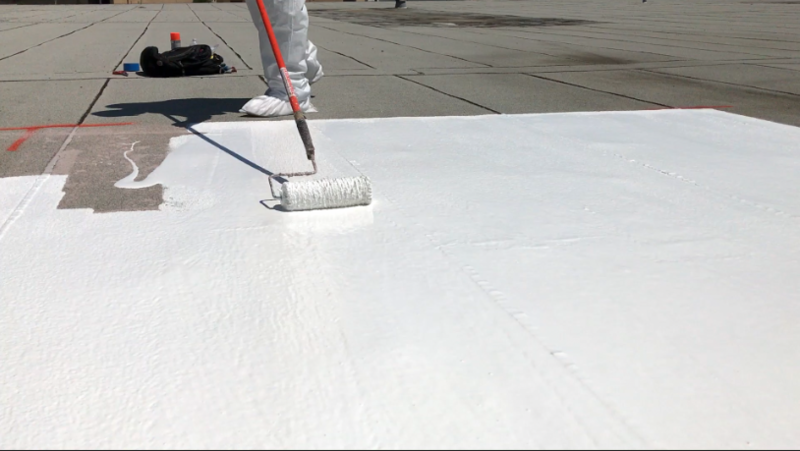 Roof Restoration can be an excellent, lower-cost alternative to a complete re-roofing project by utilizing specific repair methods and roof coating systems rejuvenate the existing roof by renewing the waterproofing layer. These systems usually come in the form of Silicone, Elastomeric, Thermoplastic, or Acrylic Coatings with guarantees ranging from 10 to 20 years. 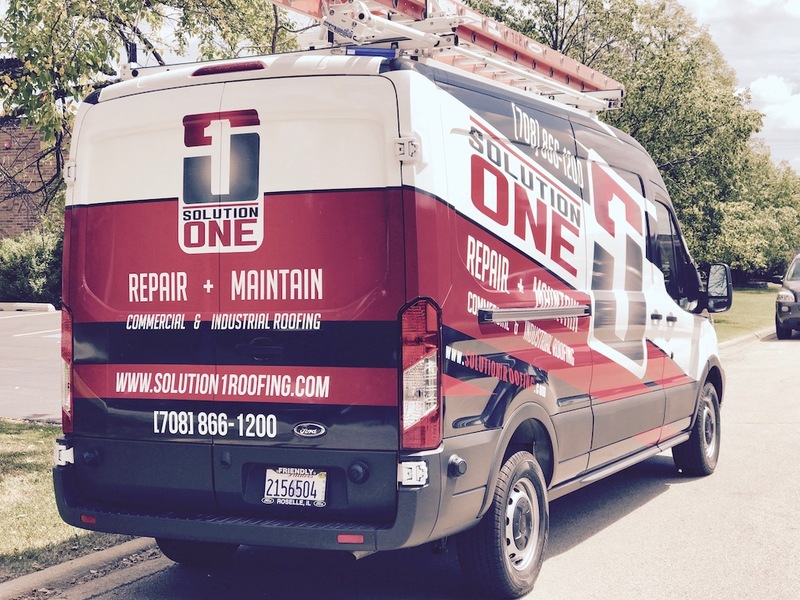 With scheduled cleaning, inspection, maintenance and repair, our roof management and maintenance division, Solution One, is designed to get the maximum service life out of your roof. With S1, you'll get your own dedicated online portal with real-time information, inspection reports, budgetary information, one-click emergency leak / service dispatch and so much more. Using our industry-leading approach, you can add years of life to your existing roof while also minimizing costs over time as well. 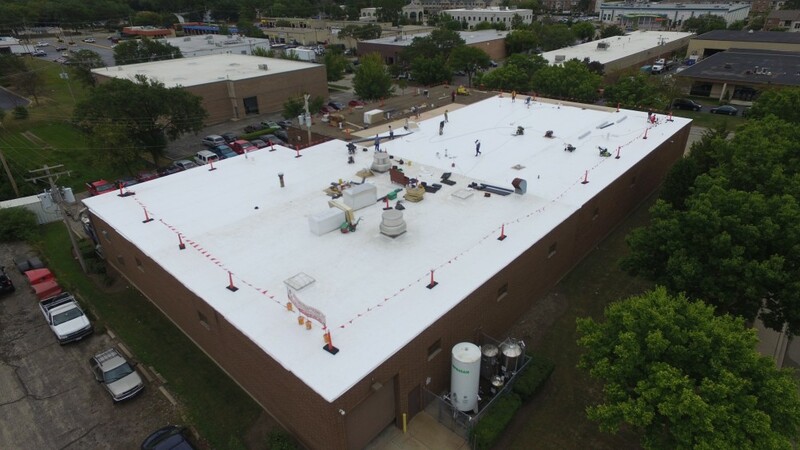 Roofing Solutions LLC is a commercial and industrial roofing contractor located in Hickory Hills, IL that has been serving Chicago and Northern Illinois since 1992. We specialize in re-roofing projects and roof repairs to existing flat (low-slope) structures with an emphasis on high-quality and budget-friendly design. We are licensed contractors with Johns Manville's "Peak Advantage" Program, Firestone's "Red Shield - Master Contractor Program", and GAF's "Master Contractor" Program which allows us to install and provide you with the most meaningful and comprehensive long-term guarantees in the industry- for 15, 20, 25, or even 30 years in some cases.